Institute of Pedagogy was established in 1982 with great effort of Prof. dr hab. Teresa Kukołowicz, later its Director till 2000. It is a part of Faculty of Social Sciences of John Paul II Catholic University of Lublin and consists of the following Chairs: General Pedagogy, Philosophy of Education, Christian Pedagogy, History of Social Care, History of Education, Special Pedagogy, Pedagogy of Family, Social Pedagogy, Care Pedagogy, Psychopedagogy, Didactics and School Education, Comparative Pedagogy and Theatre and Literature Education. Apart from that in the framework of our Institute operates Centre for Deaf and Hard-of-Hearing Education and Centre of Pedagogy and History of Education. In the academic year 1998/1999 Institute of Pedagogy was awarded a right to confer Ph.D. On 2nd of March 2006 Institute received a Certificate of the Quality of Teaching from the Presidium of the National Accreditation Commission (PKA). On the 10th of June, after the proposal of University Accreditation Commission (UKA), the Conference of Polish Rectors awarded Institute of Pedagogy with a 5-year long accreditation. Work of Institute should be characterised mainly by care about methodological correctness of scientific research in the framework of a multidisciplinary approach that understands education and formation as an activity, a system and a process, in its different profiles, conditions and connections with everyday experience. The programme of studies is focused on equipping the students with both general pedagogical knowledge and specialist competencies. Institute of Pedagogy is also involved in teacher education. Since the very beginning of its existence a lot of scientific projects have been realised by the Institute staff. The most important of them are: anthropological and axiological basis of education and formation, system of education, history of elementary education and social care, basis of "open pedagogy" and Christian pedagogy, research on family, personalistic pedagogy, pedagogical thought of the 1918 - 1939 inter-wars period, means of deaf people's communication (Cued Speech, sign language), conditions of Christian education and formation, research on prevention of social dysfunction, learning disabilities, mental retardation, health and prevention, pedagogy of teachers, media and prenatal psychopedagogy. Staff members of Institute of Pedagogy are authors of many scientific papers, monographs and other books. Our main authors are: M. Nowak, A. Rynio, K. Chałas, K. Krakowiak, M. Surdacki, P. Gach, E. Walewander, B. Styk, D. Kornas-Biela, W. Wawro, B. Kiereś, D. Opozda, E. Domagała-Zyśk and D. Bis. Our staff members have established and maintained co-operation with scientific national and foreign centres, among others with University in Klagenfurt, University of Warwick, West Wirginia University, Catholic Universities in Leuven and Louvain-La-Neuve in Belgium, Universita Pontificia Salesiana in Italy, University Sacro Cuore w Mediolanie and Universitat der Bundeswehr in Hamburg. In the framework of Erasmus programmes teachers and students have the possibility to co-operate with the following universities: Gőteborg University from Sweden, Kymenlaakso Polytechnic in Sosiaaliala from Finland, University College Cork from Ireland, Catholic University of Applied Sciences Northrhine-Westfalia in Műnster and Kőln in Germany, Catholic University in Rużomberok in Slovakia, University of Sevilla and Deusto University in Spain, Vytautas Magnus University in Kowno in Lithuania and Baskent University in Ankara in Turkey. Institute staff members and students participated in international networks like Procora and Spring Academy 2006. In 2008 Institute of Pedagogy KUL co-ordinated Erasmus LLP Intensive Programme Spring Academy 2008, entitled Building Civil Society and Fighting Social Exclusion - Contemporary Challenges of Social Work, in which participants from 8 foreign universities took part. Institute's staff members participate in works of several different committees and commissions of Polish Academy of Science, e.g. Committee of Christian Pedagogy, Commission of Speech and Language Disorders of Committee of Linguistics. They are also members of Polish Pedagogical Association and different other national and international Scientific Associations. Scientific co-operation is also established with State High Professional School in Biała Podlaska (conferences organisation and establishing standards of quality of education) and Complex of Schools nr 5 at Elsnera Street in Lublin. Since 2006 alongside with traditional 5-year long pedagogical studies in Institute of Pedagogy new type of studies have been designed. According to Bologna process the studies were divided into two modules: bachelor and master. Ad. 5/ special psychopedagogues equipped in competencies in the education in special institutions, able to maintain helpful contact with people with difficulties and skilful in proper therapies, able to search the reality of education and formation with the use of adequate scientific tools, especially in the field of communication with hearing impaired. Ad. 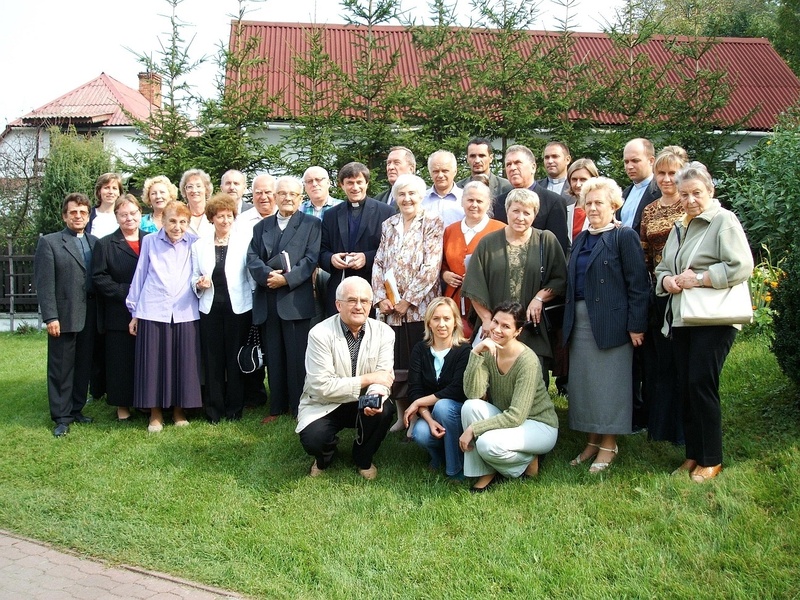 6/ teachers, pedagogues and researchers for the field of cultural, religion and media activities and in the sectors of specialist formation in monasteries, theological seminaries, lay institutes; cultural and religion animators active in Church groups, cultural and education institutions, religion movements, in free time activity centres and children and youths clubs. Secondary level studies (MA studies) of Pedagogy last 2 years (4 semesters) and its graduates receive a title of MA in Pedagogy. Graduates of MA Pedagogy studies are equipped with suitable theoretical interdisciplinary preparation. They possess skills necessary for designing scientific research and extensive skills for reflexive and deep practical pedagogical work, connected with selecting and solving theoretical and practical problems. The graduates are prepared for work in above mentioned specialisations and their education can be continued during post-graduate and doctoral studies. They possess competencies for work as a pedagogue, therapist and counsellor in different educational fields, in care and education institutions, culture animation, institutions that aim at social dysfunction prevention and jurisdiction institutions.